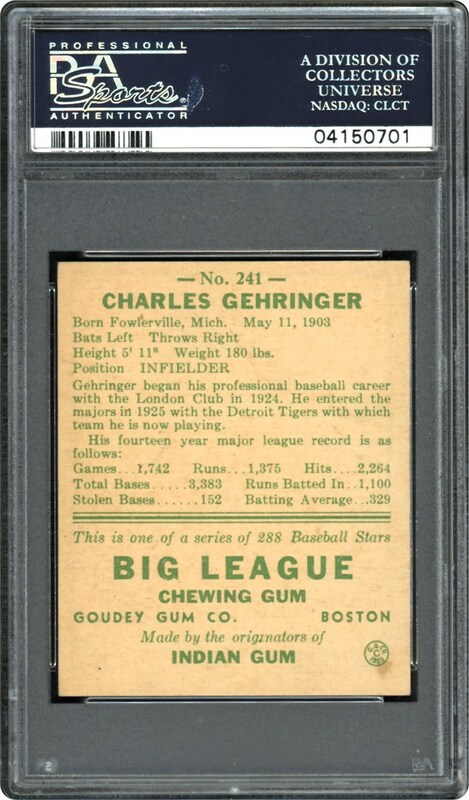 One of the most desirable baseball card sets is the 1938 Goudey "Heads-Up" issue, and one of its popular subjects is the popular Tiger's Hall of Fame 2nd baseman Charley Gehringer, presented here in an outstanding PSA 8 holder. 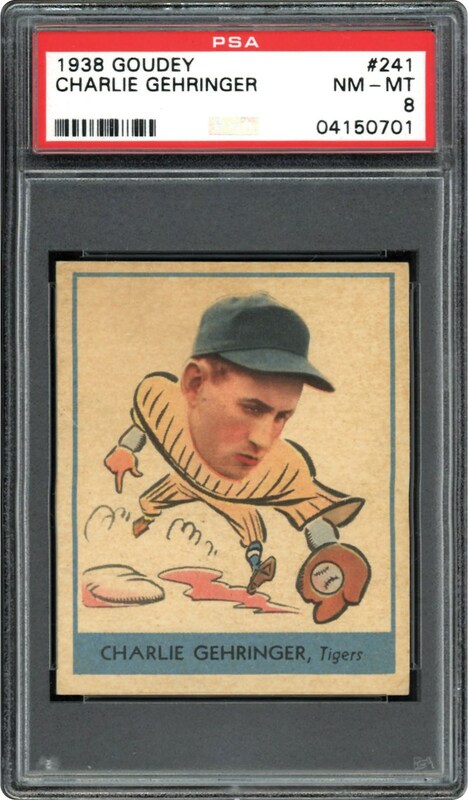 Its "scarcity for the grade" is justified by PSA's "Pop" chart that only lists 6 others at this plateau with NONE graded higher! His scintillating appearance on this world-class offering is likewise championship caliber via its pristine-like surfaces, razor sharp corners and breathtaking Gehringer image. A "pack-fresh" blazer for sure, it shares the honored distinction with a handful of other examples as the finest of its kind!